Can you fall in love with your therapist? I’ve had about 4 therapists to date and I can honestly say (now that enough time has passed) that I thought I’d fallen in love with one of them. 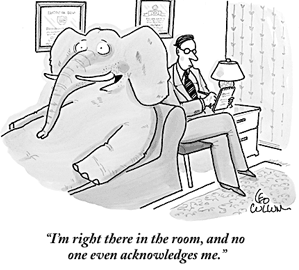 This whole issue is a bit of a taboo isn’t it – it’s the elephant in the room. There isn’t a great deal written about it which goes to show how tentative people feel about the whole issue. That is why I’m discussing it openly here; hoping that it can help others that are on similar paths or facing the same kind of issue. How did that happen, I hear you say? How did you fall in love with your therapist? Was it really love? My life was a mess (and that’s probably a bold understatement) when I started therapy. But that did not matter at the time, because therapy would change that, right? From day one my therapist worked diligently in getting me to understand why things were the way they were, what impact those things were having on me and my life and how I could start to accept or change those things. But, in order to do this effectively, I needed to be completely honest with her about everything – past and present. So that, to all intents and purposes is *exactly* what I did. As weeks turned into months, I delved deeper and deeper into my emotional self, into my past and current experiences/thoughts and shared memories I’ve never shared with anyone else. I knew from the get-go that everything I was sharing with her was confidential unless she regarded me as a risk to myself and/or others (I wasn’t at the time). She was and continues to be the only individual to know things about myself that I have never discussed with anyone else – call them my emotional/psychological stains, stains that reside in a deep crevice beyond my usual verbal reach.The whole process felt a bit overwhelming if I were honest but also deeply cathartic. She cared for my wellbeing as all therapists would – having a duty of care to service users. But, when I started to realize that I cared above and beyond probably what I should about her and the theraputic relationship – I started to stall. I started to see myself as a mess – and that’s where it all got a bit hard. As sessions went on, I wondered whether I should say something. I knew I hadn’t the courage to do so – but it still crossed my mind. If I were to reveal all – my hope was that she would respond casually by saying that such feelings were ‘normal’ due to the emotional intensity of weekly therapeutic sessions. I was hoping she’d say that we could work through it. I hope any good therapist would react this way. But, google reading material about similar situations proved the opposite. Anyway, I never did tell her so I never did get to know how she would have reacted. Although, I do believe she would have been ultimately unfazed about it, and we could have moved on together. Perhaps she would have even been thankful to me for my honesty. I’ll never know! What I do know is that I was too scared of being passed on to another therapist and having to go back to square one with someone whom I had no connection with. I was scared of feeling like a freak, feeling like I could not regulate my own emotions in line with what was expected of me. Scared of sure rejection. I knew deep down, it wasn’t love, because love it a two way thing, right? I was clear about professional boundaries and still am clear about them, but inside, I just could not help feeling the way I did for her. The reality? I knew very little about her life, yet I was blind enough to believe that I was in love. It all seems a bit stupid now to be honest. And then it dawned on me, I’m sure this situation is far more common than some believe it to be. I mean, I was an insecure, suicidal wreck when I started therapy –during weeks and months of working together, she would hold space and help me change/accept certain things in my life. Therapy had a huge effect on my life and helped me make a U turn. It showed me there were other ways of dealing with critical/suicidal thoughts and other answers I needed to explore before calling it a day. She ( the therapist) in the face of adversity quite literally pulled me from the brink of terminating my own life. Tell me how I can’t feel some kind of love for her? I’d nearly suggest that having feelings for someone who has helped you as much as she helped me is a borderline ‘normal’ reaction to have. Looking back, I’d have been barking mad not to have felt something towards her as she helped me back up on my feet. For the first time in a long time, I had stability in my life through weekly sessions that ultimately helped me re-build my life with a new found purpose. Imagine having nothing at all – but the will to die. And then, someone comes along and tells you that they can help you fix things, before actually doing *just* that? It felt very much like love back then; love from the sincerest of places, I add. In retrospect, I can by now cut myself some slack for the feelings I felt. Now I realize that it wasn’t love in all its glory I felt, but immeasurable admiration and respect towards her – coupled with an intense need if not fear of losing the special therapeutic relationship we had. The highs and lows of a therapeutic relationship can make identifying feelings difficult/confusing. Such unequal relationships in therapy (between service user and therapist) can also easily make an individual feel close, borderline dependent and emotionally indebted to their therapist, if they’re half as great as some of mine are! Also, feeling such intense emotions when you’re in a vulnerable place is a given, I suppose, it’s about how we deal with them. Of course, all service users don’t fall ‘in love’ (or whatever you want to call it) with their therapists, but for those who do – my advice is to sit it through and to give it time. If it gets too much, by all means – do what feels right for you – and if that’s considering talking to your therapist about it, do just that. But, remember, – in time you’re better able to see the larger picture whilst also gaining a much deeper perspective into that therapeutic relationship. Don’t kick yourself for having feelings – know that we’re only human and that having feelings make us human. Let therapy work its magic! Hopefully, one day – you’ll thank yourself when you get to look back on those wild and wonderful curvaceous roads of exploration you travelled alongside your therapist. Good luck! Darn pwerus iawn Malan – a hollol ddealladwy. Gormod yn cael ei ddweud (yn negyddol yn fy marn i) am sefyllfaoedd cyffelyb. Y gobaith, trwy therapy, yw cael y gwir unigolyn yn ol. Nid gwir mo’r unigolyn heb deimladau siwr gen i!